A special gracias goes to one of our readers, Tricia, who shared this fantastic web site with us. I was really excited to explore it... and it did not disappoint! Exactly the kind of thing I'm sure many of you can use with your children this summer and throughout the school year. Curiosikid is a Spanish-only site based out of Venezuela. Created by el Museo de los Niños de Caracas, it features 400 interactive science experiments for kids. 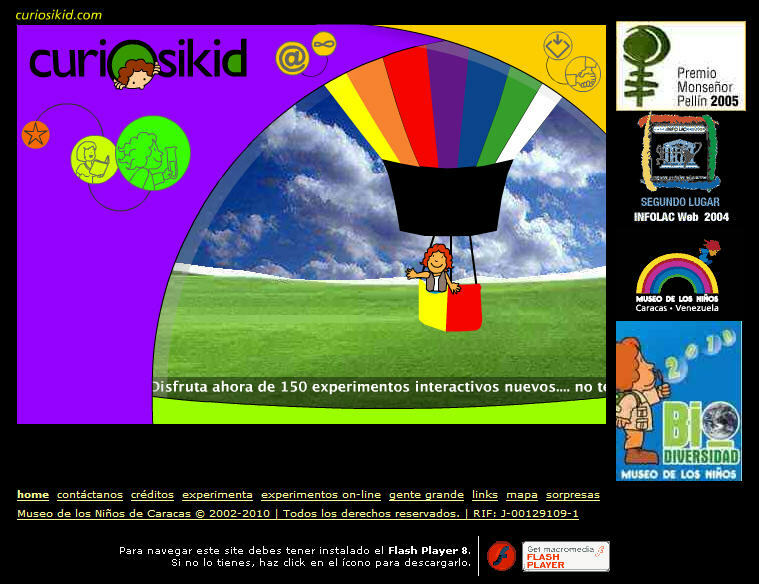 The goal of Curiosikid is to help children “learn by playing”. It describes itself as a tool to help children discover the worlds of science and technology, and to encourage them to use their free time in a constructive manner. Overall, this site has been well thought out and is great fun for kids. What a fantastic resource! Science is one of the subjects that I have the most difficulties in finding age appropriate resources in Spanish. Hopefully we will discover more!